The Paliya are a scheduled caste, also called Poliya. Scheduled castes have low status in a Hindu culture. They have three sub-groups. 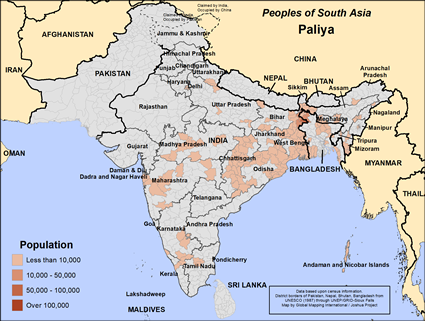 The Paliya people live in India’s West Bengal state and further east in Bangladesh. They speak, read and write in Bengali. They are not vegetarians but eat meat, fish and eggs. Many of them are landless. They work mainly in agriculture. Some are in business and there are some government workers among them. The Paliya are generally not well educated, so the gospel will need to be given in oral form. Hinduism is their religion. A Hindu might worship hundreds of gods or no god at all. They worship to gain merit and favor; their gods are not a source of guidance, nor are they beings that someone would want to have a personal relationship with. 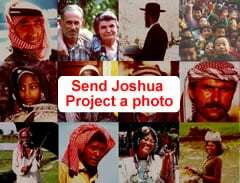 The Paliya people need the chance to hear and respond to the person, Jesus Christ. * Pray for his kingdom to come and his will to be done among the Paliya people. * Pray for a movement of Paliya households to study the Bible and accept the blessings of Christ. * Pray for a spiritual hunger that will drive the Paliya people to the arms of Jesus. * Pray for workers who are filled with the fruit and the power of the Holy Spirit to go to the Paliya people.View Paliya in all countries.